Do you dream of living right on the golf course? In Charlotte, North Carolina’s golf communities, you can live in a luxurious, laid-back setting, play golf as you please, meet others who share your passion for the sport, and more. Golf communities in the Charlotte area offer beautiful homes and upscale amenities. Aside from impeccably maintained golf courses, these communities also typically feature tennis courts, resort-style swimming pools, clubhouses, and so on. The possibilities for recreation are endless – especially in the Lake Norman area, where you’ll also have access to the lake and its 32,510-acre surface area. 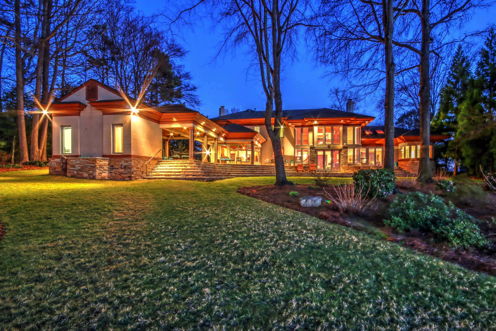 The Peninsula Club – This community is prized for its location along Lake Norman. Encompassing 11 miles’ worth of shoreline, The Peninsula Club is the perfect getaway for nature lovers. Highlights of the community include the Rees Jones-designed golf course and the 35,000-square foot clubhouse. Skybrook Golf Club – This community is known for its John LaFoy championship golf course, which features scenic views and undulating greens. It’s widely regarded as one of Charlotte’s finest golf courses. Northstone Golf & Country Club – The crowning jewel of the housing community is a private club that offers golf, tennis, aquatics, and plenty of socials. Live a life of leisure and meet like-minded individuals. Located in Huntersville, those who live in this community have access to major attractions like the Latta Plantation Nature Preserve and Carolina Raptor Center. River Run Country Club – Located in Davidson, just north of Charlotte, this community boasts an 18-hole golf course, tennis courts, and a resort-style swimming pool. The club offers casual and fine dining. It’s the perfect place to get drinks after a game of golf or do some catching up with friends after a long week. Birkdale Golf Homes – The community offers a range of upscale amenities including a swimming pool, bike paths, and shops in addition to a well-maintained golf course. The golf club adjoins Birkdale Village and offers access to Uptown Charlotte. The Pointe Golf Club – The club’s lush Bermuda fairways and impeccably maintained greens attract avid golfers and homebuyers who want to invest in a solid community. The club also features a practice facility and a short game area. Westport Golf Homes – Here you’ll find an 18-hole Porter Gibson-designed golf course, a practice area, and a well-stocked pro shop. Residents also have access to downtown Charlotte and its offerings. Cowans Ford Golf Club – This family-oriented, member-owned club features a championship golf course, a swimming pool, tennis courts, practice facilities, and a private boat dock. Located on Lake Norman’s southwestern shores, the clubhouse is the perfect place to host events and meet new people. For more information on golf front homes in Charlotte and Lake Norman, call David Dunn at 704.999.3591 or send an email to David.Dunn@SothebysRealty.com.